I have a lot of in-laws. Most of them live in and around Salt Lake City, Utah. 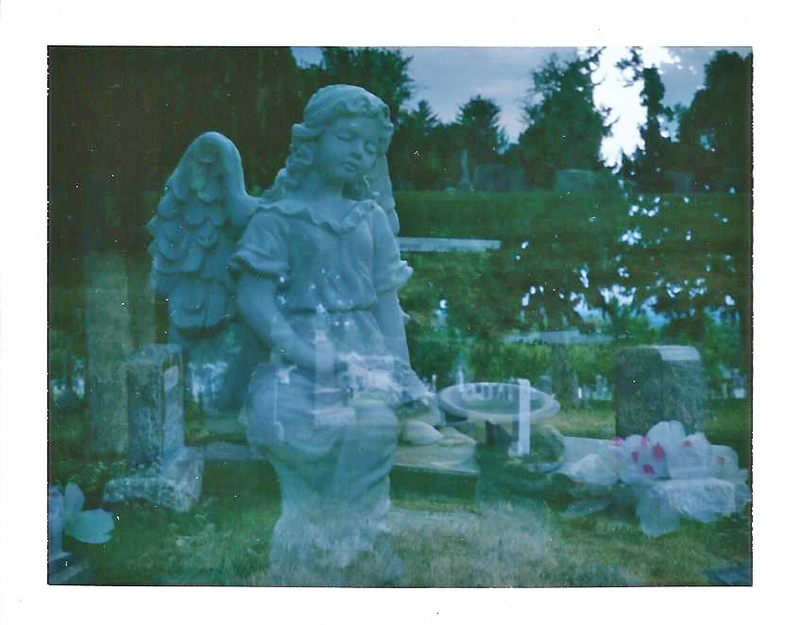 Visiting the area has become one of my favorite things to do: I usually stay with my Britney Spears-obsessed brother-in-law and his cosplaying fiance, take Polaroids of my nieces, and catch up on gossip with the fam. Of course I also make it a point to go out and seek the creep. The larger cemeteries in Salt Lake are quite impressive, housing a sizable quantity of beautiful statuary. There are countless monuments depicting an assortment of LDS symbols and references, and prominent Mormon names show up rather frequently (Romney!). Last week I took my better half to the Salt Lake City Cemetery to visit the infamous grave of Lilly E. Gray. 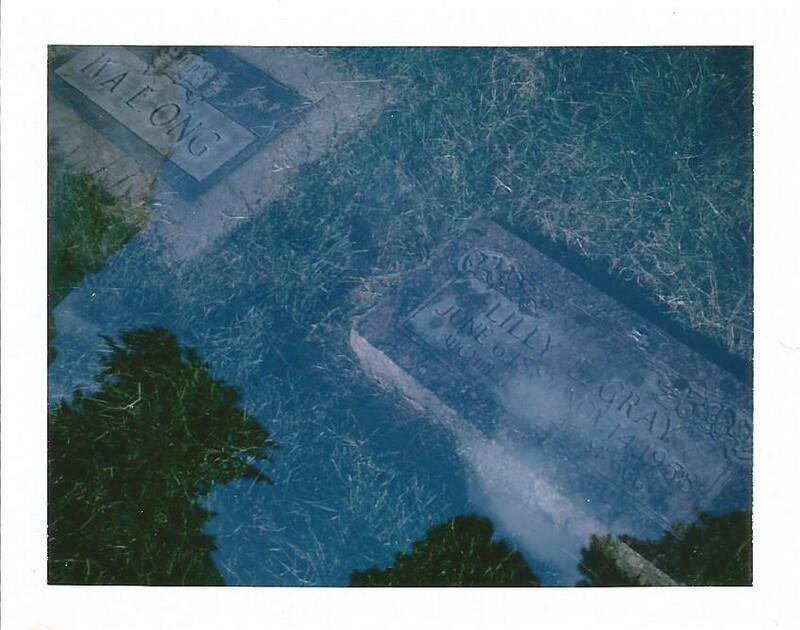 Lilly’s grave is remarkable in that her husband, Elmer, chose to immortalize her by engraving “VICTIM OF THE BEAST 666” on his wife’s marker. Speculation abounds! Visitors leave coins, jewelry, trinkets, stones and flowers at Lilly’s grave. In a burial ground full of LDS dignitaries and family plots, she’s kind of a big deal. 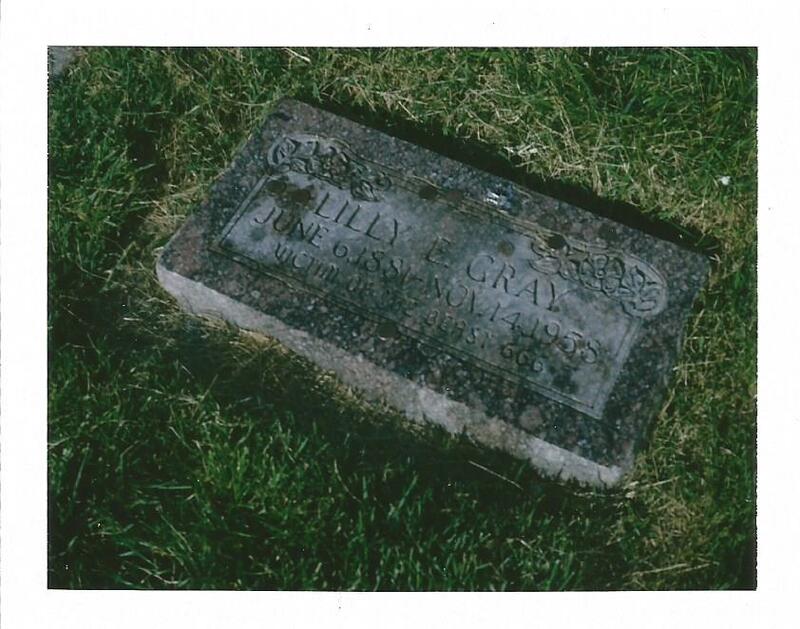 The grave of Lilly E. Gray, Victim of the Beast 666. Nestled beyond the graves of Salt Lake City Cemetery lies the adjacent Mt. 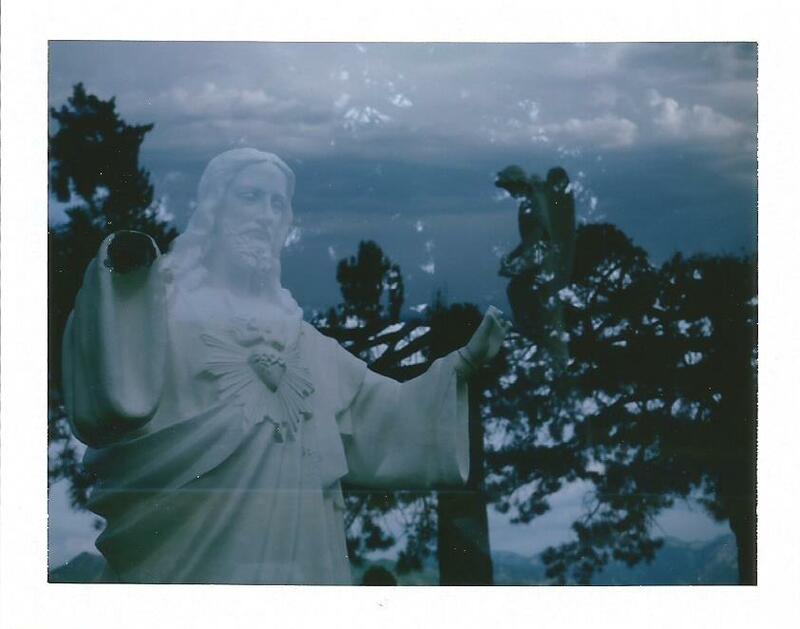 Calvary Catholic Cemetery. This was a new discovery for me this time around, so I had to spend some time getting down with the Catholic iconography of my youth. Then a beautiful bronze statue of the archangel Michael caught our attention. The sticker on his sword led us to a website, detailing a hazing tragedy at a nearby college that took the life of 18-year-old Michael Starks. 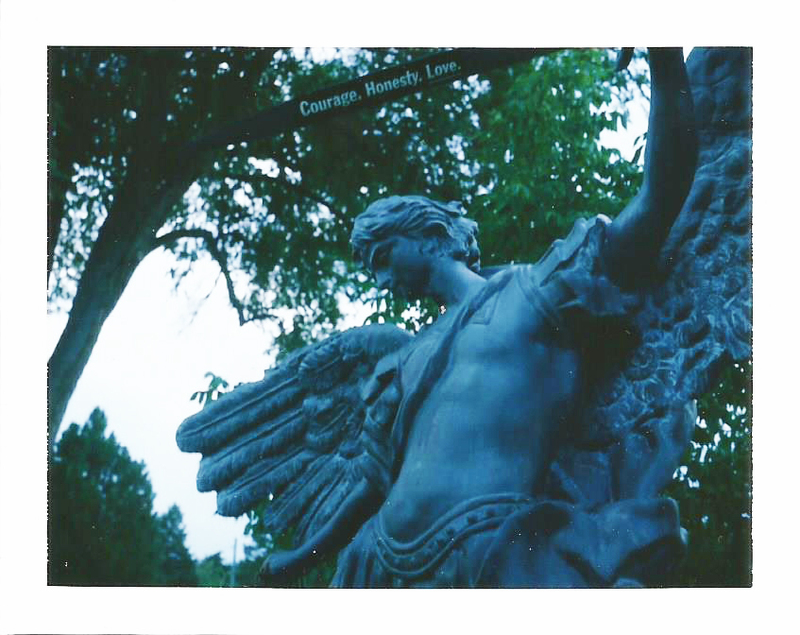 The archangel Michael keeps watch over the grave of Michael Starks. Met with Michael’s story our moods were somber and reflective; we thought about our loved ones, and about embracing the bittersweet gratitude that so often accompanies tragic loss. Then, with plans to meet up with Darren and Shawn in Park City, we said our heartfelt goodbyes to Michael, Lilly, and the nuns who reside at Mt. Calvary, and shuffled off to our next adventure.